Mint Lime Cooler- Light, Refreshing, and Oh So Good! Happy Monday Friends! Today I am going to share my recipe for my mint lime cooler. It’s still cold here y’all. Like bundled up in layers and heavy coats cold. Cuddling up by the fireplace and not wanting to go outside cold. 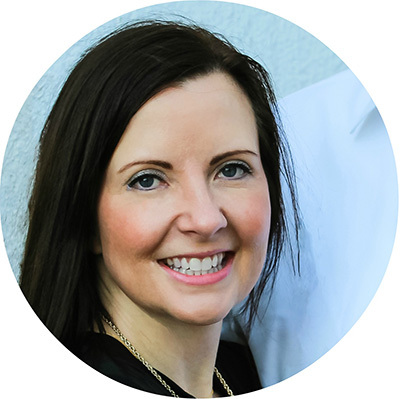 You see…here is the real problem. We had a couple of warmer days that like to tease us this time of year. The neighbor kids were running and playing outside like we haven’t seen them do in months. We even got to go outside without our heavy winter jackets. It was such a treat! Then…bam…snow and cold weather was back. It is a strange form of torture for us southern transplants that now live in a much colder part of the country. Those warmer days inspire dreams of warmer seasons that bring a change in our regular food and drink routine. Are you dreaming of spring yet? I know that I am. It has been a long cold winter for me in Minnesota and I am ready for warmer weather. Warmer weather brings the delight of getting back outside as well as refreshing food and drinks. Bring on the mint lime cooler!!! With the upcoming change in seasons, I am also ready for a little change to my regular drinks. After a while I get tired of the same-o-same-o. We drink a lot of water at our house. Day in and day out that is our go to drink of choice. It gets a little boring after a while! So sometimes we like to switch things up a bit. This light and refreshing mint lime cooler is a yummy alternative. 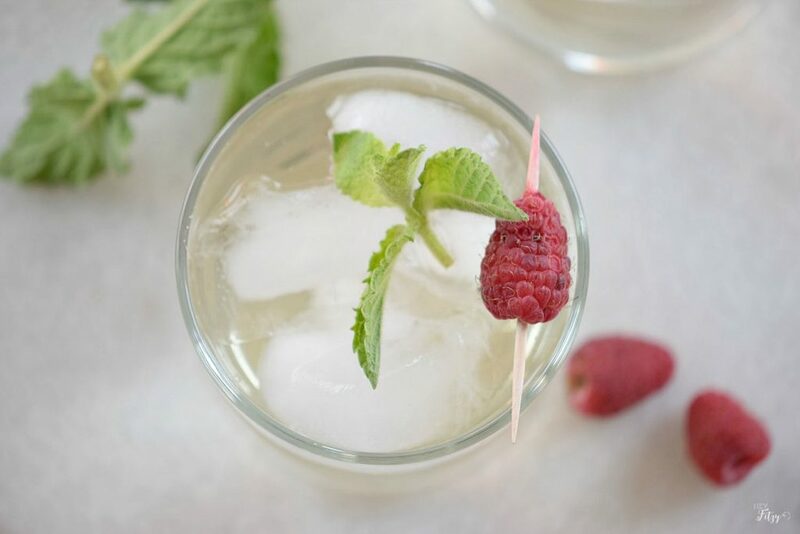 In the summer time I like to pick the fresh mint and raspberries directly from our garden for this mint lime cooler. Gosh…can you tell I am ready for warmer weather. Already dreaming of those delightful days digging in the dirt and playing in my garden. In the bottom of a pitcher muddle the mint leaves. Add the sugar, half the lemon juice and muddle again. Add the remaining lemon juice, lime juice, and soda. Stir for 2 minutes or until well combined. Strain and pour into rock glasses filled with ice. 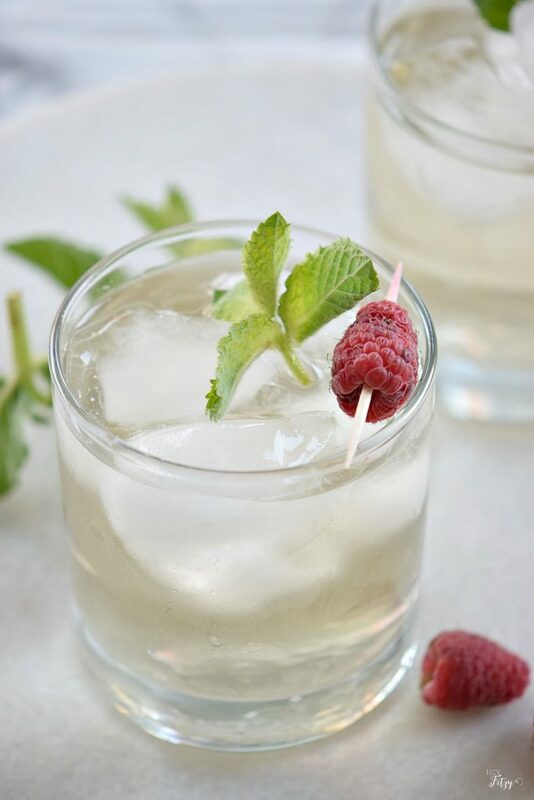 Garnish the glass with the raspberry and mint leaves. For a tropical twist mix in some coconut water. The recipe calls for soda. You can use the ‘clear’ soda of your choice. Sprite, Ginger Ale, and Club Soda are all great options. 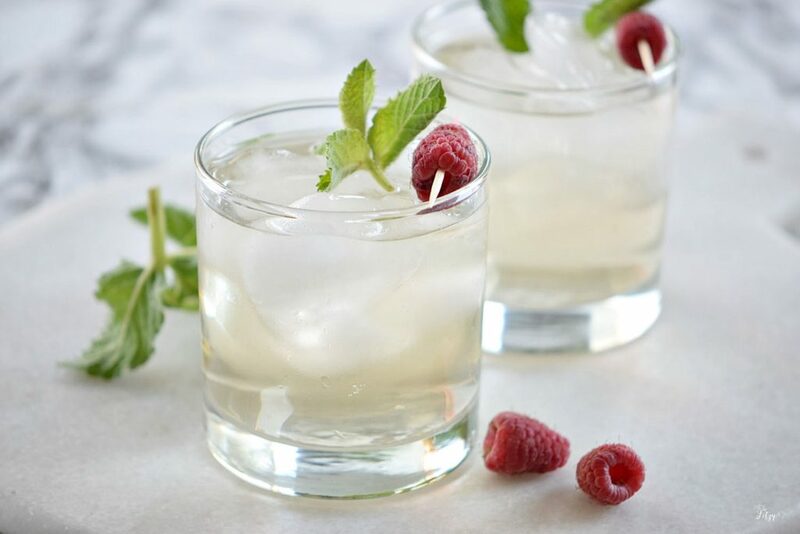 For an adult version of this mint lime cooler, you can always add a little spice of liquor to create a fun cocktail. It sounds delicious! :D I'll have to try it out! Hi Lina, So yummy! I hope you give them a try! Oooh, I love fresh mint. That is such a great addition. Can't wait to sip one of these on the deck when the weather warms up. Thanks for the recipe! Hi Maria, I am dreaming of warming weather on the deck as well! This drink will be just perfect for that! Thank you for stopping by! Looks delicious and refreshing! Thanks for sharing! Thank you Cate! I hope you give it a try and believe you will love it!